This is a 3S LED bar light controller that is capable of controlling up to 4 LED strips at once. Wiring is simple, there are four power outputs for your LEDs and a balance lead plug for connecting directly with a 3S battery to power the LEDs. 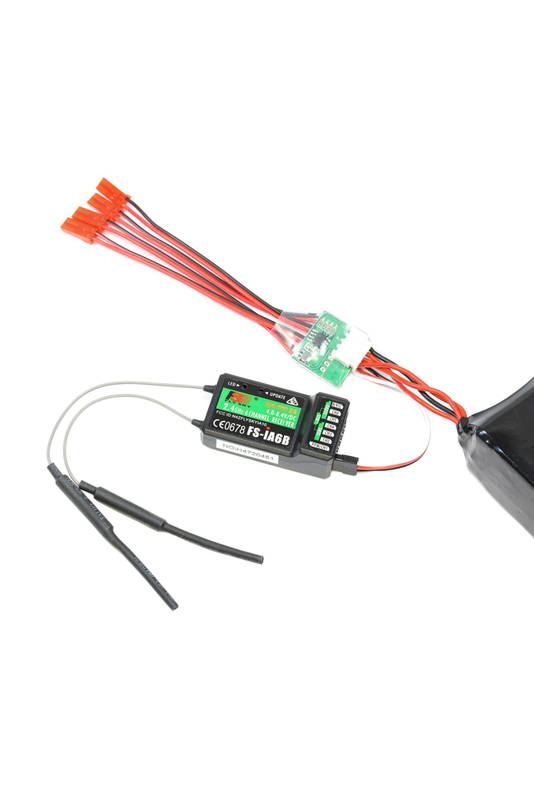 Finally use the attached servo cable to plug the controller directly into your receiver/flight controller. The controller supports four working modes and these are remotely controlled via your radio transmitter. The controller uses JST power connections for its outputs, so for a plug and play solution check out our JST compatible LED lights: 200mm LED Strip Lights, LED Headlights. Connection: Signal cable into PWM receiver, JST connector with LED lights, and then plug into lithium balance charge connector.